Belvedere Designs: December 2015 Customer Photo Winner! December 2015 Customer Photo Winner! 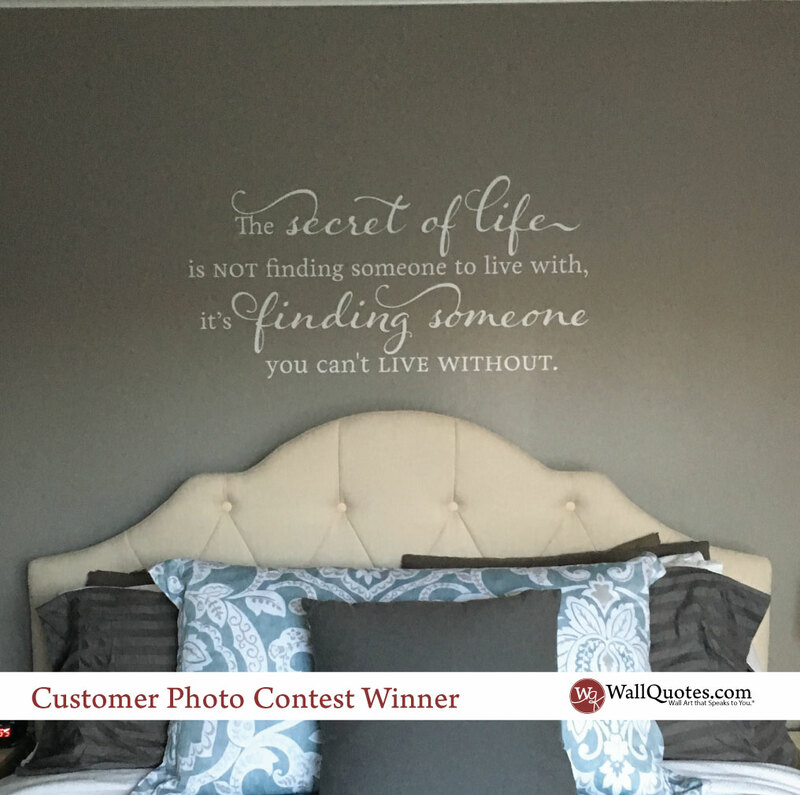 Michelle found the perfect spot for her Someone You Can't Live Without Wall Quotes™ decal! Above the headboard is a great space to add some personality to any room! She ordered this in 17" x 35" in White. I love the way it looks on the dark gray wall and brings out the white in the pillows. Great job Michelle!